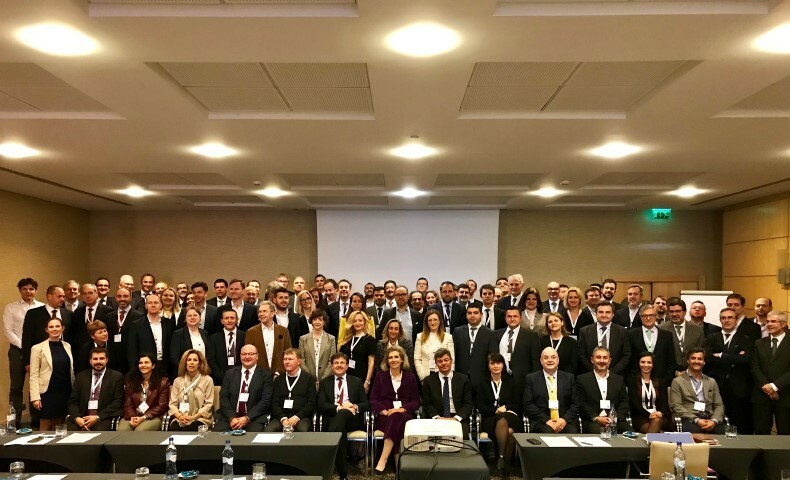 The fifth EU Factoring and Commercial Finance Summit has just taken place in Lisbon with the support of the Portuguese Factoring Association ALF and sponsorship of Codix and Alvantia. The conference, jointly organised by FCI and the EUF, brought over 120 professionals from all over Europe together to discuss the latest developments, opportunities and challenges in the Industry. Compered by EUF Coordinator and FCI Advocacy Director John Brehcist, the Conference was opened by Françoise Palle Guillabert, the Chairperson of the EUF. She introduced Professor Ricardo Ferreira Reis of the Catolica Lisbon, who shared with the audience his team’s latest research from Portugal into the importance of timely financial support in stressed financial environments, reinforcing the need for appropriate funding mechanisms to meet the needs of businesses at different stages of lifecycle. Magda Ciechomska Barczak, Chairperson of the EUF Economics and Statistics Committee updated the Meeting on the latest position on the Industry statistics and data gathering on performance measurement. Although yet to be fully finalised, the initial figures indicate growth of 8% to around €1.7 Trillion turnover, average GDP penetration of around 11% and funding advances approaching €250Bn. José Tavares de Almeida, Secretary General of the ALF updated the audience on the positive state and impact of Factoring in Portugal. Industry experts Madeleine Best, Stephen Pegge and Magdalena Wessel then joined John Brehcist to discuss the concerns and potential impact on the Industry of changes in the CRR/Basel III implementation of credit insurance as a risk mitigation mechanism; the panel discussed the ongoing lobbying efforts to persuade regulators of the importance of recognising the specific nature of receivables funding when setting the new rules. The EUF’s operational committee Chairpersons then shared the key issues that have been occupying their and their committees’ attention over the last and coming year; it was clear that an enormous amount of work has and is going on to help protect and serve the Industry. One particular example has been the successful lobbying that has resulted in a derogated treatment in respect of the Net Stable Funding Ratio requirements. Gold sponsor Codix closed the day with a presentation on their products and services. The second day opened with Conference host John Brehcist sharing the outcomes of the research his consultancy roundwindow undertook on behalf of the EUF to update the ground-breaking EUF Whitepaper on the Industry, a publication designed to communicate the benefits and success of our industry to interested stakeholders. Highlights include the dominance of Manufacturing, Service and Distribution sectors in the users, the prevalence by number of SME and by value of large corporate users, the continued and indeed improved low loss given default performance reported within a large-scale representative sample survey of the Europe wide market. Diego Tavecchia, Chairman of the EUF Prudential Regulation Committee introduced a panel of experts (Mattia Ciprian, Tomasz Domagalski, Louis-Marie Durand and José Morera) who discussed the implications of the ongoing developments and impact of new technology, fintechs and digitalisation on the Industry; their discussions reinforced the conclusion that the effect of continuous change and evolution will continue to be felt across the whole sector. José Antonio Garrote of Gold Sponsor Alvantia then presented to the audience on his company’s services. EUF ExCom members Fausto Galmarini (Italy) and Andrzej Zbikowski (Poland) shared the challenging developments within their own respective countries of new regulations that require split payments of invoices to separate the VAT element in the collection process. The impact is clearly a challenge for administration and control within our Industry. The last main panel of the Conference was chaired by EUF Chairperson Françoise Palle Guillabert who was joined by Richard Carter (Bibby Financial Services), Patrick de Villepin (BNP Paribas Facctor), Bill Diviney (ABN AMRO) and Fausto Galmarini (Banca Sistema) to attempt to address the impact of Brexit on the European market. A challenging discussion, given that it is still not clear what Brexit will look like, if it will happen at all, and if it does, what the implications for cross border trade or the future health of the Union. The many options and permutations were discussed and analysed but perhaps in the end, the conclusion could only be que sera, sera! The Summit was brought to a close by Çagatay Baydar, the Chairman of FCI who thanked all the attendees and presenters for creating and delivering a really valuable event. 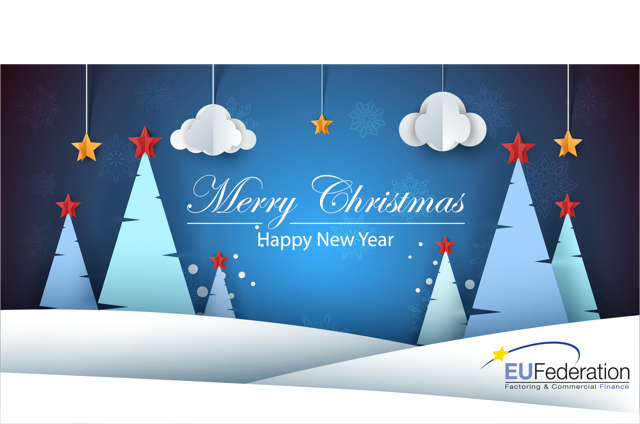 EUF wishes you a Merry Christmas and Happy New Year! 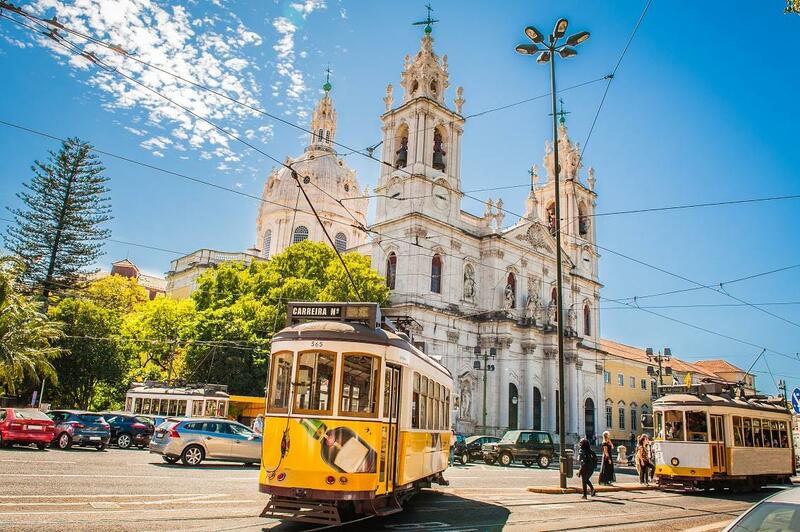 For the fifth time, EUF and FCI organise the EU Factoring and Commercial Finance Summit in Lisbon, Portugal. The Summit is the only European Conference organized by the Factoring Industry for the Factoring Industry. Please pencil the date 21-22 March 2019 in your calendar! The programme will address the latest updates, promoting and celebrating the impact of the Factoring and Commercial Finance Industry in supporting the real economy and employment in Europe. Anyone who needs to be up to speed with the latest trends and developments in the European Factoring and Commercial Finance Industry. More information and registration will be open early 2019 on FCI website.